Gujarati Kadhi Recipe – Yogurt based gravy dish from Gujarat, a state of India. This kadhi is sour, little sweet and little spicy in taste. 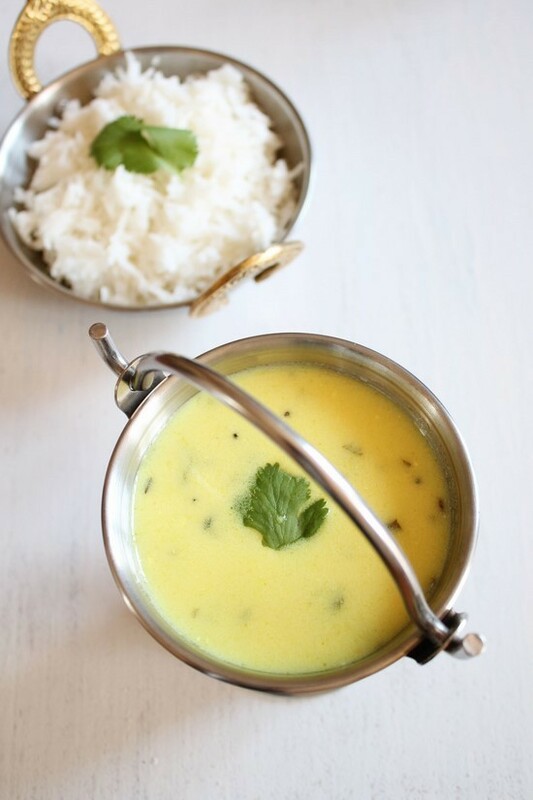 Gujarati kadhi is made from sour yogurt. Chickpea flour is added to the sour yogurt, then tempered with some spices and simmered. It has soup like consistency. It is little on thinner side compared to Punjabi kadhi with pakoda. For making gujarati Kadhi, yogurt has to be sour. Always use sour yogurt to make this kadhi delicious. How to make yogurt sour? just keep it on the counter for few hours. For example, if you are making kadhi for dinner then take out your yogurt from fridge in morning and keep it outside till you make kadhi. This is my favorite dish from my childhood. Whenever mom makes it, I drink a small bowl by itself and then I take my meal little late. Those were amazing moments of life. Kadhis are usually made during the summer as yogurt is very cooling to the body. But I make kadhi once a week no matter its summer or not. 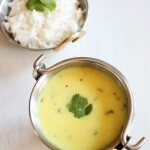 Gujarati kadhi is easy and quick to make as It will be ready in 20 minutes from start to finish. We usually serve it with Plain rice and sometimes with moong dal khichdi. Once in a while I serve kadhi with beans curry like black eyed bean curry or kala chana curry. Believe me, try once kadhi-rice-bean curry combination as a meal, you will love it. I have served kadhi with plain basmati rice on the day I made. The leftover is served with moong dal khichdi. Khichdi-kadhi is best combo. It is very light dinner. 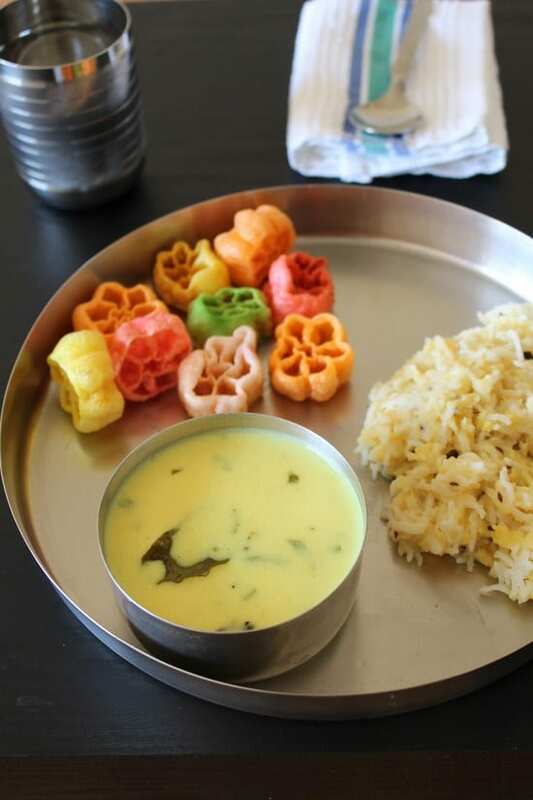 In Gujarat, almost every household make this khichadi-kadhi at least once a week. This combo is more famous in villages. 1) Take yogurt in a pan in which you are going to make kadhi. Add besan, ginger paste, green chilies, turmeric powder, sugar and salt. NOTE: 1) I have used different bowl just for the photo purpose,for day to day cooking I mix everything the pan in which I am making kadhi. 2) If you do not like to bite into green chili pieces, then you can slit the chilies and add into the kadhi instead of chopping them finely. 2) Whisk it well so there are no lumps. You can use hand blender too. 3) Then add water. And mix it very well and make lump free batter. 4) Put it on medium heat to boil while stirring continuously. Don’t forget to stir otherwise yogurt will curdle and kadhi will overflow while cooking. When it comes to a boil lower the heat to simmer and prepare the tempering. 5) Heat the ghee or oil in a small pan. Once hot add mustard seeds and cumin seeds. Let them sizzle. Then add dry red chili, cinnamon stick, cloves. After few seconds you will get nice fragrance from whole spices. 6) Add curry leaves and asafoetida. 7) Add this seasoning to the kadhi. 8) Stir well. Let it simmer for another 5 minutes so raw taste and smell of besan goes away. 9) Finally add chopped cilantro. 10) Mix it well and serve hot. Make it in your kitchen and let me know how you like it in the comments below. Happy cooking!! Serving suggestions: Serve gujarati kadhi with plain rice or khichdi. It can be served as a side with phulka roti or paratha. 3 teaspoons Sugar Do not skip it. Take yogurt in a pan in which you are going to make kadhi. Add besan, ginger paste, green chilies, turmeric powder, sugar and salt. Whisk it well so there are no lumps. You can use hand blender to. Then add water. And mix it very well and make lump free batter. Put it on medium heat to boil while stirring continuously. When it comes to a boil lower the heat to simmer and prepare the tempering. Heat the ghee or oil in a small pan. Once hot add mustard seeds and cumin seeds. Let them sizzle. Then add dry red chili, cinnamon stick, cloves. After few seconds you will get nice fragrance from whole spices. Add curry leaves and asafoetida. Add this seasoning to the kadhi. Stir well. Let it simmer for another 5 minutes so raw taste and smell of besan goes away. When do you add the garlic cloves? there is no garlic used in the recipe. The cloves mentioned in the recipe is Whole spice (laung, laving). and it is used in tempering. This looks so tempting. 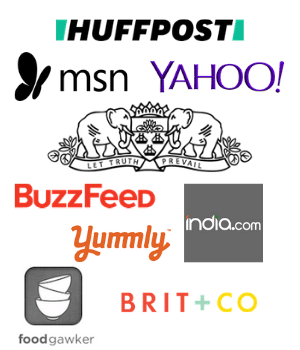 Thanks so much for sharing this curry recipe. It came out yummmmm and very easy to make!! You can make it sour by adding few drops of lemon juice at the end. 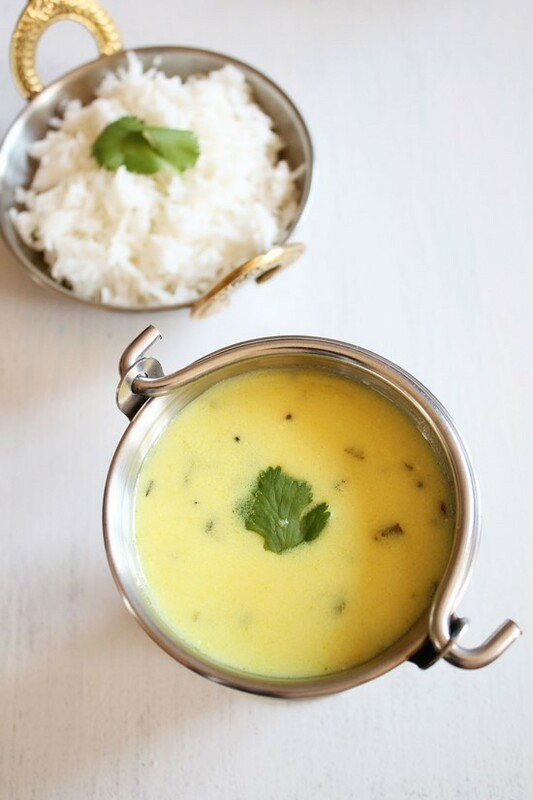 Thank you so much for sharing this kadhi recipe. It tasted so good & I will be henceforth following this recipe.